Another entry in the Seven+ Android project is StatusBar+. StatusBar+ is, as it sounds, a complete status bar replacement, but what makes it so revolutionary is that it doesn't require root or any flashing .zips in recovery. You simply install the app, enable it, and it replaces your normal status bar. StatusBar+ is technically still in its first alpha, but the only bugs I noticed were the notification icon color and background color options. Choosing either causes the app settings menu to force close, but the status bar itself actually never closes. As for the status bar itself, it's very minimal and very clean. When you enable it, it slides down over your current status bar and will be completely black. Tap on the bar and your other icons (cell signal, data connection, battery) bounce down into place, similar to the lockscreen. After a couple of seconds, they'll disappear. 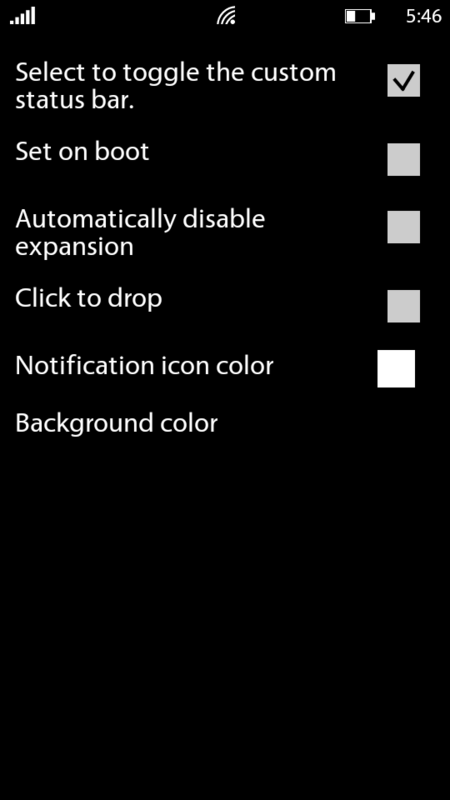 Fortunately, you can remove the option clicking to drop, so the icons will always be there. This required a restart on my part, but from there, everything worked fine. You can also choose to have StatusBar+ run on phone boot so you don't even need to think about turning it on. Other than that, there's not much to say. It's a status bar. 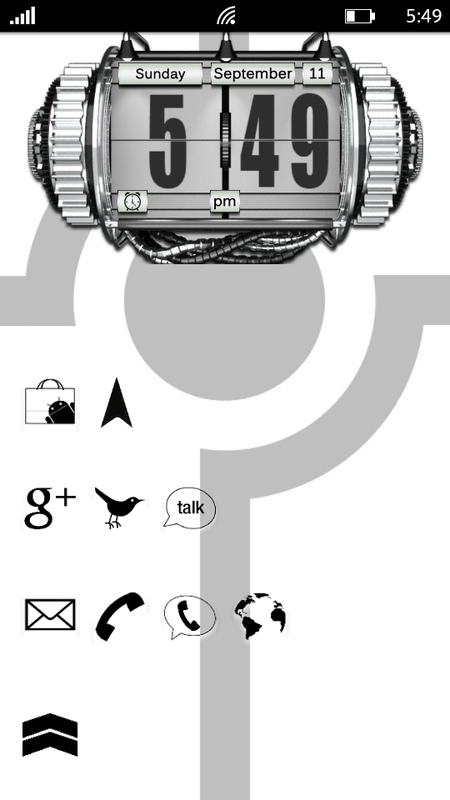 It's black (for now), very clean, and the icons are cool. It's definitely impressive that this has been pulled off without requiring root or flashing in recovery. 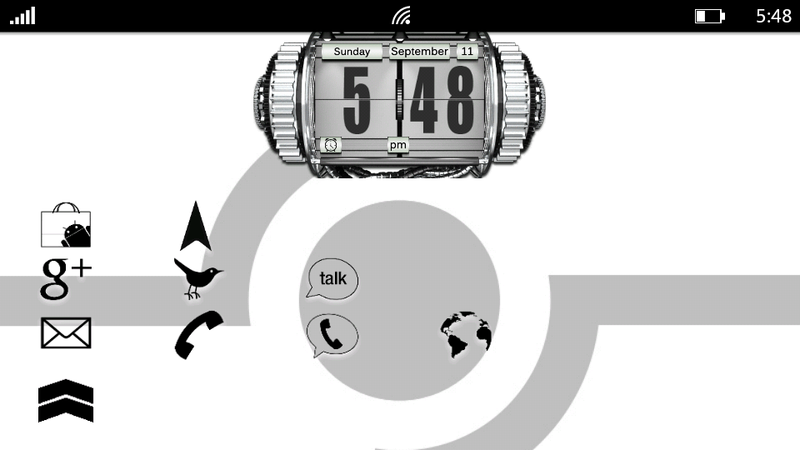 For those looking to WP7 their phone out, this is a must have. 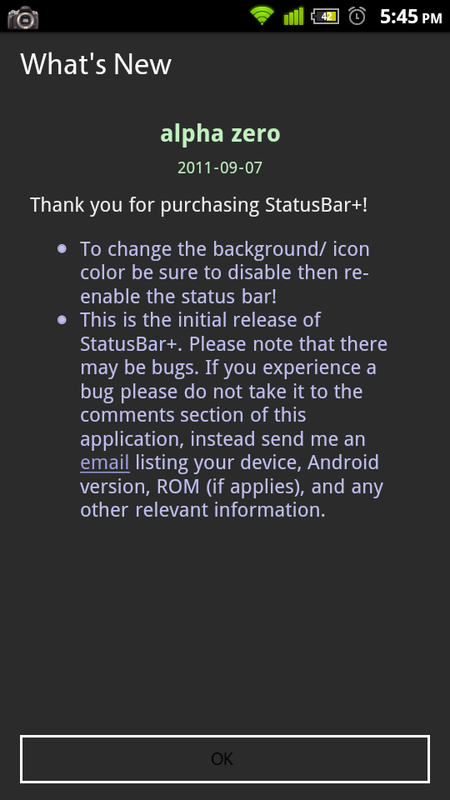 StatusBar+ is $1.29 in the Android Market. More screenshots and download links are after the break.